The Roots of Great Guitar Playing. Composed by Paul Howard. Guitar Method or Supplement; Method/Instruction. Jazz. Book; CD. 48 pages. Alfred Music #00-20438. Published by Alfred Music (AP.20438). 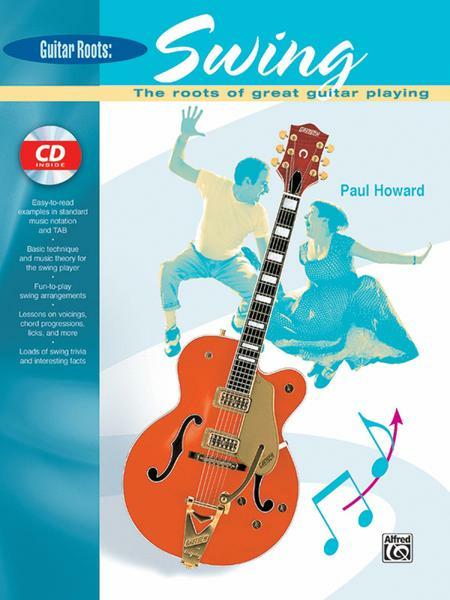 The ultimate starter book for players looking to learn the classic guitar style that's once again so popular. Learn swing progressions and forms, as well as how to construct a swing guitar solo, and so much more. This is the only book ever needed to get swingin' right away!